Vancouver’s Alberni Street is now considered to be one of the most prestigious retail addresses in North America, with luxury brands continuing to open stores in an area that has been dubbed the city’s ‘Luxury Zone’. Several luxury brands have recently opened flagships in the Luxury Zone, with more on the way for 2018. Van Cleef & Arpels and IWC Schaffhausen are the latest luxury brands to have opened this month on the 1000 block of Alberni Street, which is now lined by some of the biggest names in luxury retail. Jimmy Choo will join the mix in early 2018, the largest Rolex store in the Western Hemisphere is in the process of expanding even more at 1119 Alberni Street, and other developments are on the way. Vancouver is a hot luxury retail market, fuelled by affluent locals and tourists. Investors are noticing as well — a recent CBRE report confirms that retail investment volumes in the first half of 2017 surpassed all of 2016, the previous record year, by 75%. CBRE notes that retail sales on Alberni Street now surpass that of Toronto’s prestigious Bloor Street West (aka ‘The Mink Mile’) with rents on Alberni Street now up to 50% higher than on popular Robson Street. Alberni Street wasn’t always a luxury address. In the 1980’s, it was a relatively sleepy street with restaurants and office towers, and in the early 1990’s a duty free store relocated to the street — two actually, with one winning the rights to operate as such. Burrard Street was the place to be in 1991 when Chanel opened a 1,300 square foot store at 755 Burrard Street (Coach currently occupies the space). Local multi-brand luxury group Collections International operated several boutiques in the area at the time — the ground floor space now occupied by Tiffany & Co. once housed small shops for Collection International boutiques including Nina Ricci, Alfred Dunhill (opening again in the city in 2018), Goldpfeil, Fendi, Valentino (which once had two Vancouver boutiques) and even a small Hermes corner at the back of a larger Collections International retail space with the address 1005 Alberni Street. The duty free store changed hands in 2005 when Spanish group Aldeasa won the rights to operate the Alberni Street store (as well as the airport location), though the downtown store closed several years later after unfortunate circumstances — the loss of a tour bus parking space resulted in drastically reduced revenues, and a lawsuit was eventually settled that included terms that Aldeasa could vacate its Alberni Street space (as well as a court settlement valued in excess of $3 million). In 2009, Brooks Brothers took much of the duty free store’s ground space while Michaels crafts moved upstairs when Aldeasa closed in 2012 -- and soon after towards Thurlow Street, Dollar Tree opened its first Canadian store in the basement of the commercial podium of The Carlyle building at 1080 Alberni Street. Dollar Tree wasn’t open that long, however — The Carlyle’s landlord, Concord Pacific, bought them out as it decided to turn The Carlyle’s retail podium into a luxury address — something that was in more demand than a dollar store, or the 7-Eleven that was located on the ground level. After a substantial renovation to the retail podium, retailers Tory Burch and De Beers opened in The Carlyle in the fall of 2013. Burberry initially helped elevate the street, also inspiring the repositioning of The Carlyle. In the fall of 2008, Burberry opened a 3,300 square foot store at the base of the newly opened Shangri-La Hotel, and it stood as the only luxury brand in the immediate area for several years. 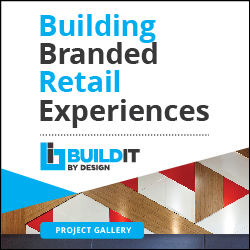 All the while, brokers and landlords had a vision — the 1000 block of Alberni Street, as well as the 700 blocks of Burrard and Thurlow Streets, would become a luxury retail precinct where the world’s top brands would pay top dollar for retail space. The strategy worked — Moncler opened in The Carlyle (748 Thurlow Street) in December of 2015, Prada opened a large flagship in the spring of 2016 (1098 Alberni Street), and Saint Laurent opened next to Moncler (748 Thurlow Street) in the summer of 2016. 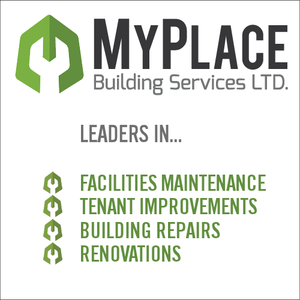 CBRE Vancouver was instrumental in coordinating several of these leases. In the fall of 2015, the commercial podium of the newly completed 745 Thurlow Street office tower included opening stores for Brunello Cucinelli and Versace. 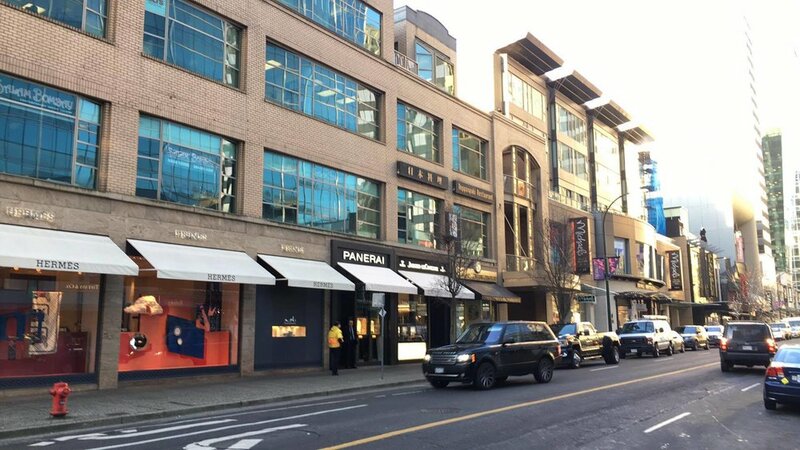 In both deals, the retailers were represented by Stan Vyriotes and David Wedemire of DWSV Remax Ultimate Realty Inc., who also did the Jimmy Choo deal and are working with other luxury clients to secure space in Vancouver’s Luxury Zone. They confirm that more luxury brands are interested in moving into the area, which has resulted in an exceptional clustering of stores from many of the world’s leading luxury brands. 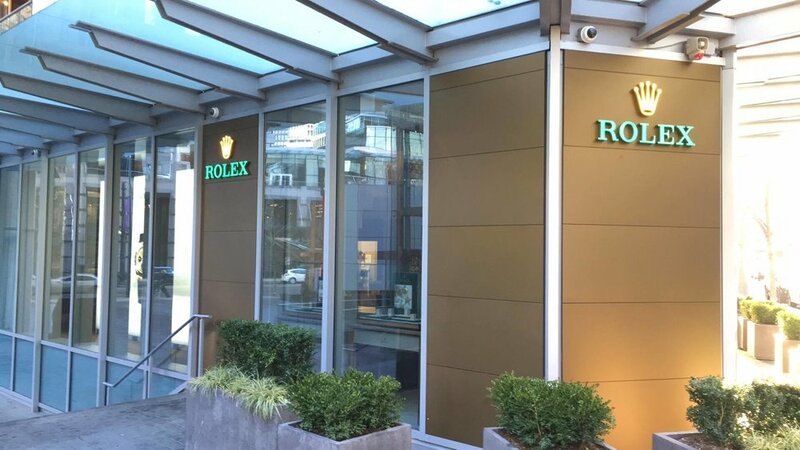 Alberni Street locations for Jaeger-LeCoultre, Lao Feng Xiang, Rolex and Hublot have also since opened — Hublot’s impressive two-level, 3,200 square foot space is one of the brand’s largest locations globally. Northwest Atlantic broker/Principal Brodie Henrichsen represented Hublot in the deal — Mr. Henrichsen has been instrumental in several deals in the area (including Tory Burch, De Beers and Moncler at The Carlyle), and in an earlier interview explained that there continues to be considerable demand from luxury brands seeing to be in the area. Tiffany & Co., as well, recently tripled in size to unveil an impressive two-level retail space with ample marble and two sweeping staircases. Luxury watch brand Omega, which originally opened at the Fairmont Hotel Vancouver for the 2010 Winter Olympics and subsequently tripled in size, will also be seeing a renovation in 2018. Dior’s largest store in North America and one of Louis Vuitton’s most productive stores, globally, are also located in the hotel’s lobby, along with outposts for Gucci and St. John Knits. CBRE’s Marin Moriarty explained how Vancouver’s Luxury Zone is expanding even further onto West Georgia Street — CBRE coordinated a deal with super luxury brand Stefano Ricci, which opened in early 2017 at 1139 Alberni Street next to the new Trump Tower. Mr. Moriarty explained that the 1100 block of Alberni Street is expected to see retailers eventually replace a row of restaurants on the south side of that block, possibly with a mix of luxury and aspirational brands. New retail space on the block is also being created at the base of the HSBC office tower at 1188 West Georgia Street. West Georgia Street is already seeing luxury moving in — watch retailer Global Watch Company recently converted its 925 West Georgia retail space into a standalone Chopard boutique which opened last month with a splashy party. Luxury tea brand TWG now has 1070 West Georgia Street address (its first in North America) at the base of an office tower with a passage directly to the new Van Cleef & Arpels flagship. It’s a good news story for Vancouver, which has more luxury retail than most cities of its size. 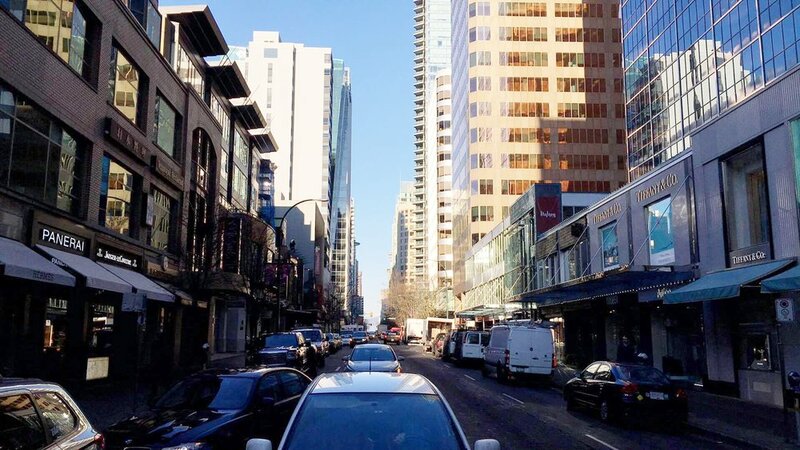 “Alberni Street is a terrific asset for downtown Vancouver,” explained Raymond Shoolman, retail expert at DIG360 Consulting Ltd. in Vancouver. Luxury stores puts a city on a map, and he explained how a wealthy international clientele, including wealthy Asian shoppers and those who might otherwise shop in Paris or New York City, will now more likely visit and shop in Vancouver. Some of Vancouver’s wealthiest residents are in the city only part-time, he explained, and having flagships for top brands will keep these people shopping, not to mention potentially attract new wealthy residents and visitors. Luxury Brand Observer Helen Siwak said that she was impressed with how quickly Vancouver’s Luxury Zone has added new stores. “It was only several years ago that the area was a nondescript enclave, and now it’s a bona fide luxury retail address”. She noted that Alberni Street’s lease rates are considerably lower than those in global cities such as New York City’s 5th Avenue, London’s Bond Street or Paris’ Champs Elysees — but that some of the stores in Vancouver are doing similarly high retail sales. More big changes are on the way for Vancouver’s Luxury Zone into 2018 and onwards. One interesting development is the laneway between the 1000 blocks of Alberni Street and Robson Street — pricey streetwear brand Off-White will be opening a store there in late January of 2018. Restaurant Italian Kitchen, which recently relocated to a new space on Burrard Street, will be replaced by a location for Vancouver-based jeweller Montecristo. And on Burrard Street, Vancouver will see two new flagships before the end of the decade — in a recent conversation, Hermes CEO Axel Dumas confirmed with us that the company will open a large two-level flagship at the southwest corner of Burrard and West Georgia Streets (similar in size to the recently unveiled Bloor Street flagship in Toronto), and Cartier will eventually relocate from Howe Street into the current Hermes space at 755 Burrard Street. It's becoming clear that Vancouver’s Alberni Street Luxury Zone has transitioned to become one of Canada’s most prestigious and desirable retail addresses, and it could soon be considered the national leader as new luxury brands continue to open stores in the area.